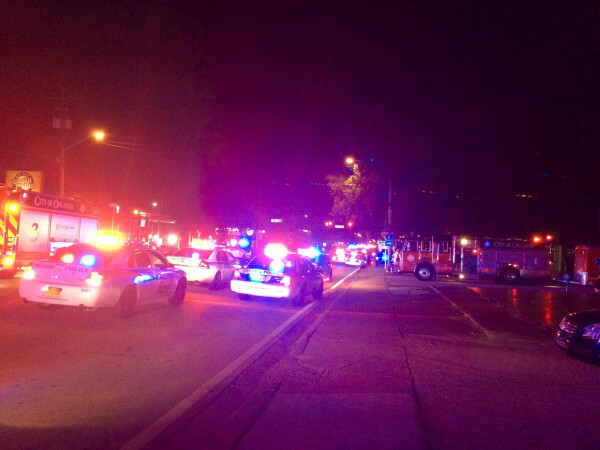 Authorities identified the Orlando nightclub shooter as Omar Mateen, 29, of Florida. Police lock down Orange Avenue around Pulse nightclub in Orlando, Florida, Sunday morning. 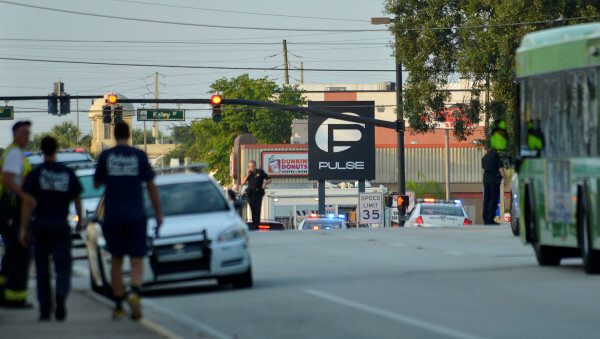 Police cars and firetrucks are seen outside the Pulse nightclub where police said a gunman killed 50 and injured 53 in Orlando, Florida, early Sunday morning. ORLANDO, Florida — The gunman who opened fire inside a crowded nightclub here early Sunday morning, launching a rampage that killed 50 people and injured 53 others in the deadliest shooting spree in the country’s history, had pledged allegiance to the Islamic State before the attack, according to U.S. law enforcement officials. President Barack Obama said the FBI was investigating the shooting as an act of terrorism, an announcement he made about 12 hours after the gunfire began at Pulse, a popular gay bar and dance club. Police said that after a first round of gunshots at 2 a.m., the shooter took hostages for about three hours, until officers who went inside to rescue these people killed the gunman in a shootout. It was not immediately clear if the death toll included the gunman. 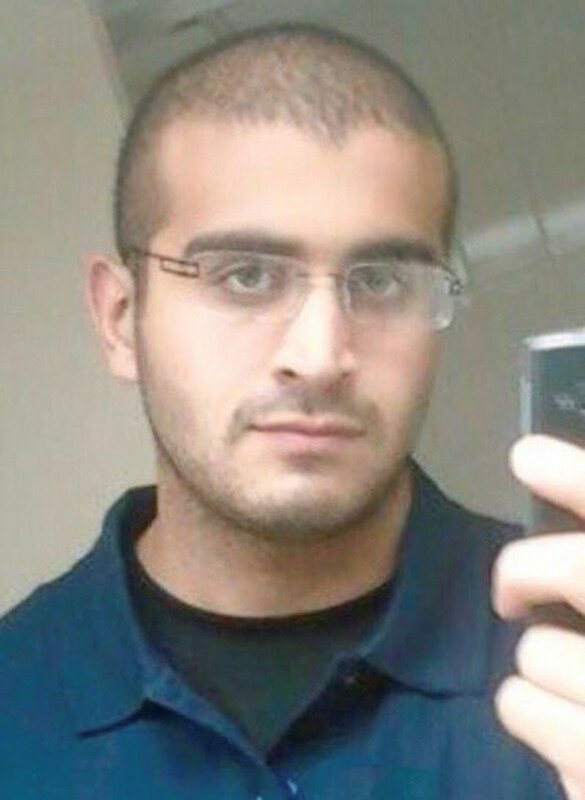 The gunman, identified as 29-year-old Omar Mateen, apparently made a 911 call before the attack identifying himself and pledging allegiance to the leader of the Islamic State, according to U.S. law enforcement officials. Mateen also made a reference to the 2013 bombing of the Boston Marathon during this call, officials said. Much like Tamerlan Tsarnaev, the older of the two brothers who carried out that attack, Mateen had also been the focus of an FBI investigation before carrying out an attack. Ron Hopper of the FBI said that Mateen had twice been investigated by the bureau and that in both cases, he was investigated before the probes were concluded. In 2013, Hopper said agents investigated Mateen after he made “inflammatory comments to co-workers alleging possible ties to terrorists.” Mateen was interviewed twice and, when investigators were unable to verify the details of his comments, the FBI closed the probe, Hopper said. Mateen was investigated again in 2014 by the FBI. This time, they looked into potential ties connecting Mateen to Moner Mohammad Abusalha, the first American to carry out a suicide attack in Syria. Like Maten, Abusalha lived in Fort Pierce, Florida. Mateen legally bought the two guns believed to be used in the attack legally within “the last few days,” according to the Bureau of Alcohol, Tobacco, Firearms and Explosives. In a message Sunday, the Islamic State appeared to take credit for the attack, but it remains unclear if the gunman had any connections to the group or if they had any prior knowledge. Orlando Police Chief John Mina said that the toll from this latest mass slaughter could have been even greater, saying that a SWAT team “rescued at least 30 possible victims and brought them to safety.” Police said they were not able to say if all of the people killed or injured were shot during the initial burst of gunfire at 2 a.m. or during the shootout with 11 police officers three hours later. Just after a husband and wife killed 14 people last December in a terror attack in San Bernardino, California, one of the shooters went on Facebook and pledged her allegiance to the emir of the self-proclaimed Islamic State. Officials later said the posting was made on behalf of both attackers. The group said in a message posted Sunday by the Islamic State-linked Amaq News Agency that the Orlando shooting “was carried out by an Islamic State fighter.” The same news agency had released a message showing the Islamic State claiming some credit for the San Bernardino attack two days after that occurred, while Amaq posted a statement from the group asserting responsibility for the Brussels attacks in March within hours. The Islamic State has repeatedly executed gay people and then released videos showing these gruesome executions. Hopper said officials had not found any indications of outside help or another suspect, and added that they were confident there were no additional threats. Also on Sunday , a man was detained in Santa Monica, California, by police while possessing weapons and dangerous material, police said. The Los Angeles County Sheriff’s Department said that they were investigating any possible link between this man and a Gay Pride Parade and Festival in West Hollywood on Sunday, though they added that there have been “no specific or credible threats” in the Los Angeles area. Mateen’s ex-wife said that he was abusive, saying in an interview Sunday that he beat her repeatedly during their marriage. She said that during their brief marriage, Mateen, who was Muslim, was not very religious and gave no indications that he was devoted to radical Islam. Mina said it appeared the gunman was armed with “a handgun and an AR-15-type assault rifle” and had additional rounds on him. “It appears he was organized and well-prepared,” Mina said during another briefing. An AR-15 is the civilian variant of the military M-16 rifle. It is one of the most popular weapons in the United States and can be customized with a variety of accessories including different grips and sights. A standard magazine for it carries about 30 bullets. A number of federal agencies were participating in a massive law enforcement response to the shooting in Orlando, authorities said. On Sunday afternoon, Attorney General Loretta E. Lynch, who had been scheduled to attend a meeting in Beijing on cybersecurity, said she was returning to Washington so she could monitor the ongoing investigation. “We stand with the people of Orlando, who have endured a terrible attack on their city,” Obama said during a statement he made at the White House after meeting with FBI Director James Comey. Obama said it was too early to know “the precise motivations of the killer,” but he said the FBI would investigate any possible links the gunman had to terrorist groups. During his remarks Sunday afternoon, Obama — echoing comments he has made during numerous other statements given after shooting rampages — said the bloodshed in Orlando served as a reminder of how easily people can obtain guns in the United States. Pope Francis also expressed deep “horror and condemnation” of the shooting on Sunday, according to the Associated Press. Obama also signed a proclamation honoring the victims and ordering that American flags be flown at half-staff until sunset on Thursday. “We’re dealing with something we never imagined and is unimaginable,” Orlando Mayor Buddy Dyer said during a news briefing Sunday. Details about Mateen’s background were scarce on Sunday morning. His family is from Afghanistan, while Mateen is believed to have been born in the United States. His father hosted a political television show in Afghanistan and, in one video, declared his candidacy for the Afghan presidency. One relative said that Mateen’s family was in shock after being told on Sunday morning about his involvement. This relative said Mateen’s family was very sorry about what had happened. Police said that during the shootout with the gunman, one Orlando police officer was shot and saved by his Kevlar helmet. Numerous people injured were taken to Orlando Regional Medical Center, which was locked down Sunday morning along with two other hospitals. OneBlood, a foundation with blood collection centers throughout the southeast, put out a call for donors after the shooting. Within minutes of the shooting, police vehicles and a SWAT team descended on the club, which had more than 300 people inside as the shooting began. Authorities said the man was armed with a “suspicious device,” in addition to his guns, Mina, the police chief, told reporters. About three hours after the initial reports of gunfire, the SWAT team launched a rescue operation and killed the gunman, authorities said. “The decision was made to rescue hostages that were in there,” Mina said. Joshua and Mary Zika live less than a block from the nightclub, and say they’ve never had any problems with the club before. “It might sound weird to have a nightclub in the middle of a residential neighborhood,” Mary Zika said. They say they didn’t hear any shots or notice anything out of the ordinary, because helicopters are often heard in the area due to the nearby hospital. Instead, they found out about it from the news, reading and watching in disbelief as they realized this had happened just outside their door. “My heart and prayers are with everyone involved in this horrific terror attack in Orlando,” Poliquin said. More than 150 people gathered in Portland on Sunday evening for a vigil in remembrance of those killed in Orlando. The Bridge Alliance announced on social media Sunday that it will hold a candlelight vigil starting around 8:30 p.m. Monday on the steps of Bangor City Hall. The early-Sunday rampage followed the fatal shooting Friday night of a pop singer who was killed while signing autographs following a performance at an Orlando concert venue. Christina Grimmie, a 22-year-old singer who was a finalist on NBC’s show “The Voice,” died hours after being shot by a gunman who then shot himself, police said.